How does an Alpha Steel Grip help to protect my liquor, wine, and spirits inventory? Steel Grip by Alpha High Theft Solutions is an Electronic Article Surveillance (E.A.S.) hard tag in the shape of a “collar” that fits around the neck of a liquor or wine bottle. This hard tag has a steel band for a collar with a clutch that secures it to the bottle to prevent tampering. It is available in several sizes to fit most inventories. If a shoplifter attempts to steal a bottle containing the Steel Grip, it will trip the alarm of the E.A.S. system at the front of the store. The system is easy to install and remove and utilizes an Alpha S3 key system. Steel Grip also provides a “visual deterrent” so that the would-be shoplifter will think twice about stealing the item and most likely convince them to walk away. Steel Grip is designed to most likely cause the bottle to shatter before allowing the thief to remove it and steal the contents of the bottle. The Steel Grip system comes in both Radio Frequency (RF) and Acousto-Magnetic (AM) configurations. LPSI (Loss Prevention Systems) is a premier national consultant within the U.S. regarding Alpha High Theft Solutions and Checkpoint Systems. We have got nationwide customers, products, and services. 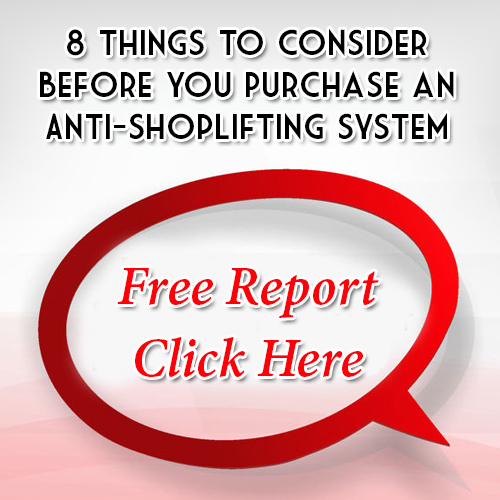 LPSI gives you more than shoplifting equipment. Our knowledge in retail industry loss prevention enables Loss Prevention Systems to deliver actual guidance and solutions to theft avoidance. Stop shoplifting for good with Loss Prevention Systems, Checkpoint, and Alpha Systems products. For additional details on Alpha Bottle Security, simply call 1 (866) 914-2567 and get the security help you are looking for!